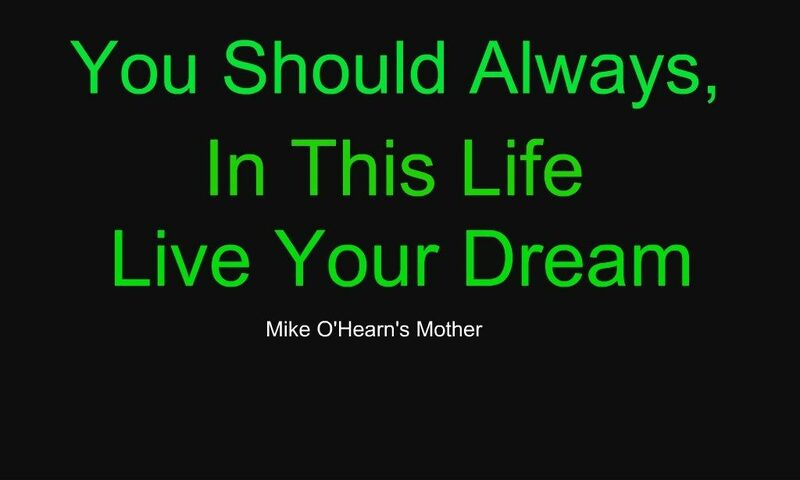 Read Mike O’Hearn’s fantastic journey below. 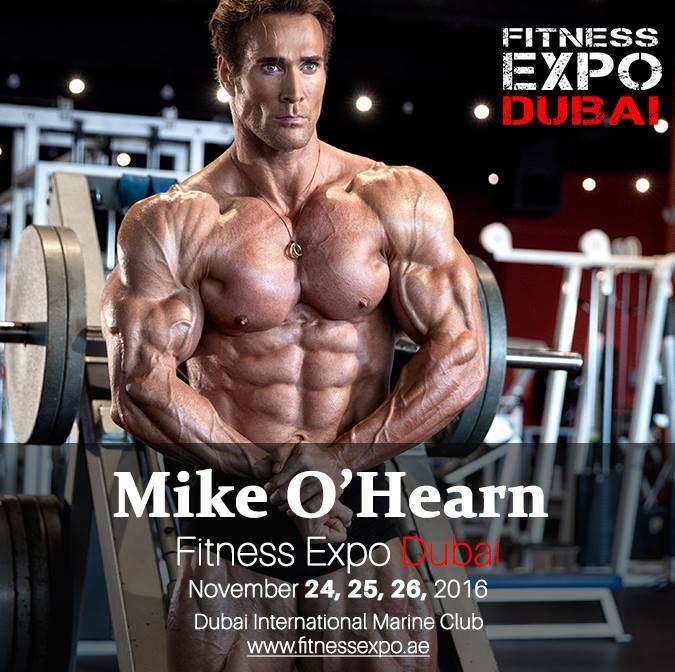 Fans and celebrities in Dubai UAE will be able to meet Mike O’Hearn face to face in November 2016, when he attends the Worlds largest fitness Expo in Dubai. He is the brand ambassador for the Expo, which is backed by Arif Mirza Under the Patronage of His Highness Sheikh Ahmed bin Mohammed bin Rashid Al Maktoum, President of the National Olympic Committee and Chairman of the Mohammed bin Rashid Al Maktoum Creative Sports Award. Dubai will host, in line with the UAE National Sports Day, from the 24th to 26th of November, 2016 the largest exhibition of fitness in the Middle East, with the full support and collaboration from the Dubai Sports Council. Dubai Sports Council referred to hereinafter as DSC was founded in Nov. 30th 2005 as per a decree issued by UAE Vice-President, Prime Minister, Dubai Ruler H.H. Sheikh Mohammed Bin Rashid Al Maktoum. H.H. Sheikh Hamdan Bin Mohammed Bin Rashid Al Maktoum (The crown prince of Dubai) is DSC’s president. Mike is one of the highest celebrity being demanded on the unique feature being offered by the Expo called “Demand a Celebrity”. His fans are thrilled and are looking forward to seeing him in Dubai. All of Mike O’Hearn achievements cannot be bundled in one post but we have tried to list a brief bio on what he has done and achieved. By the time he was a teenager, it was as if he had ceased to be just another person working out in the gyms, and already started to symbolised excellence. He knows so much about how to form a natural amazing human body – and has successfully created his own to be work of art. If you talk to him, he makes you feel welcome and relaxed. Allows you to break the ice, to interact with him, to know him better. If you research his methods on training for competitions, his preparation and game plans, will leave an indelible mark. He would plan most of his onstage acts by making mental notes for the judges, other competitors he was likely to face – a habit that meant he wouldn’t sleep properly for a fortnight before the biggest competitions of his life. As you find out more about Mike, you will realize, preparation for every battle was as crucial to success at the top as natural ability. Knowing the opposition is important, but so is knowing your own game. These are the things you would find if you have a first go at trying to find out what drove Mike to win but if you really pay attention, you will see something different. You will see something more and amazing. While the rest of the contestants competed with each other and impressed the judges – Mike focuses on the audience. The sheer energy and buzz he creates for his fans and others in the room, transcends to the judges automatically. From a farm boy to Titan, Mike has done more with his life than most will, with the life of their entire families. Mike was born to compete and being the youngest of the 9 siblings made him work for every inch he got. It was his competitive nature and amazing forward looking attitude that got him to where he is today. He got the smack-downs on a daily basis from his four older brothers and sisters. Competing with his siblings and others around Kirkland where he grew up, gave him his first taste of wanting to be number one. This “survival of the fittest’ made him tough but the genetics didn’t work against him either, his dad was a football player, and a bodybuilder. The most common question brought up when talking about children lifting weights is the possibility of stunted growth. Simply put, it is a myth that proper strength training can stunt the growth of a child. There is no scientific evidence to support that claim. Just so you know Mike is now 6 ft 3 inches. He has been a fighter all his life, both in and out of the spotlight. His initially found fame came from the Original American Gladiators where his show-name was “Thor”. Not the arrogant God Thor of Asgard to live amongst humans in Midgard (Earth), where he soon becomes one of their finest defenders. Mike was the Original real life “Thor” who became the role model for everyone who wants to achieve error free perfect body. Mike O’Hearn at the age of 17. Mike O’Hearn was born Patrick Michael “Mike” O’Hearn in Kirkland, Washington, USA. He was also voted as one of the 12 greatest physiques of all times by the fitness industry. He is now in a relationship with Mona Muresan who is also an ambassador for the Worlds largest Fitness Expo. Click here to Buy your ticket as soon as possible if you are interested in meeting Mike or fill the form below if you want to engage him for an appearance in Dubai in November. Follow Mike on his journey, get inspired and meet him in person in Dubai at the Worlds Largest Fitness Expo.